Discover the latest videos from Structube’s Youtube Channel. 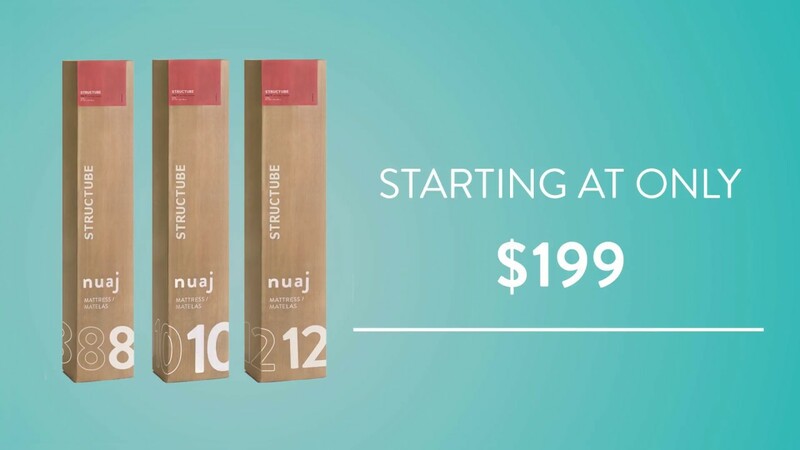 From our latest arrivals to our bestselling items, get acquainted with the Structube collection up close and in detail. Our spring collection is in full bloom. Create a balance of contrast by introducing diverse textures that play with the positive vibrancy of the room. Bring on the good vibrations! While memories of summer vacation and rosé by the pool softly fade, pumpkin-spice latte season brings its own kind of excitement: it’s time to make your home extra cozy for the cooler days ahead! 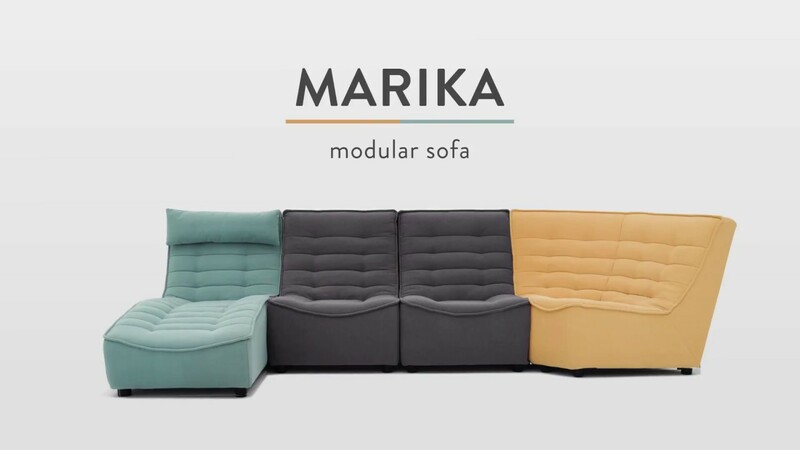 The Marika is part of a modular collection that allows you to coordinate different modern pieces any way you like. Multiple colour options make it easy to create a look as unique as you are by combining these elements to suit your space. Function and form adapt to your every desire while you design your low-slung, comfortable and undeniably hip seating area. Beautiful days? beautiful decor. 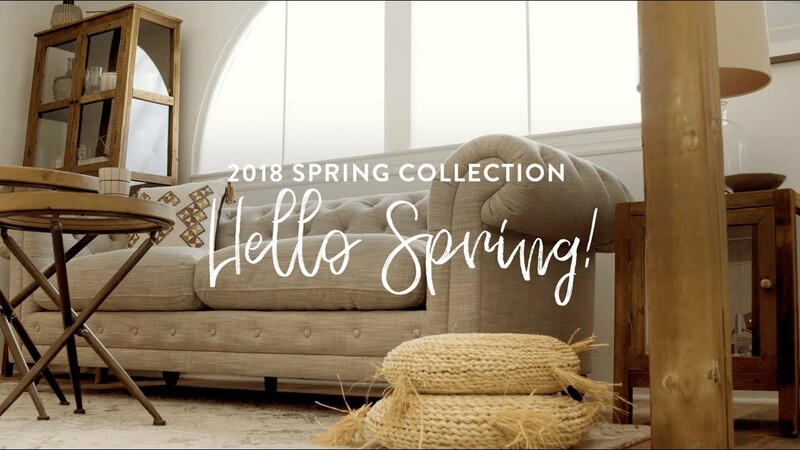 Welcoming, modern, functional, timeless... 2018 Spring Collection. 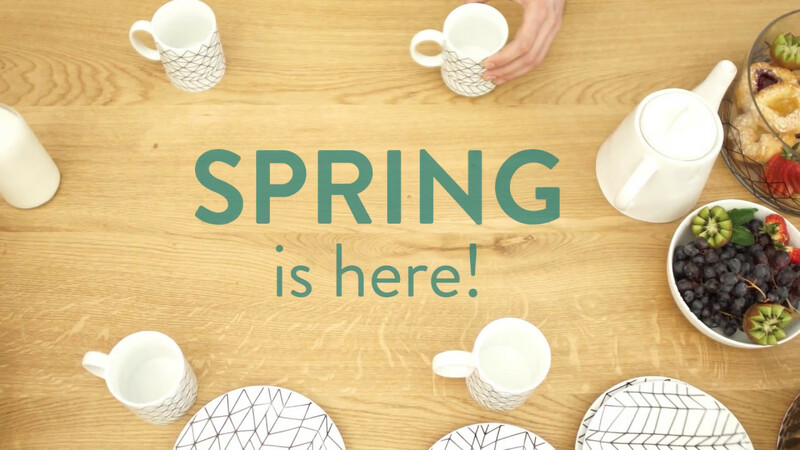 STRUCTUBE introduces its Spring 2018 collection! 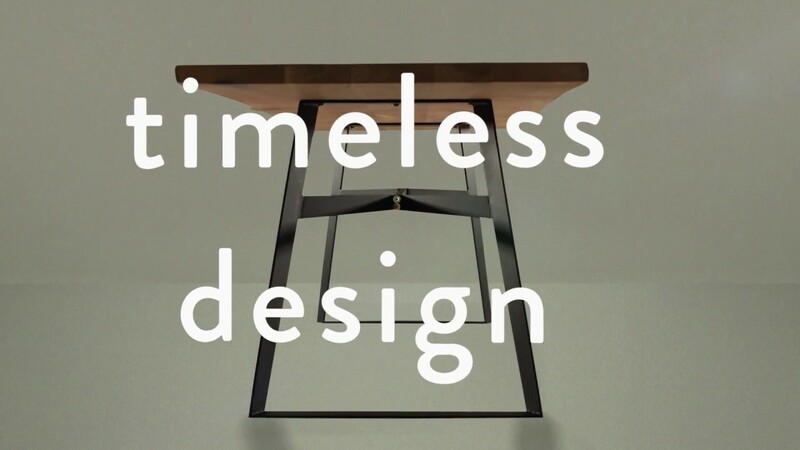 Want to see more incredible modern furniture that will fit right in with your decor? 100% LEATHER COLLECTION Leather furniture is unique. Some might even say timeless. Choose from the many chic and ultra-comfortable models in our new Leather Collection. 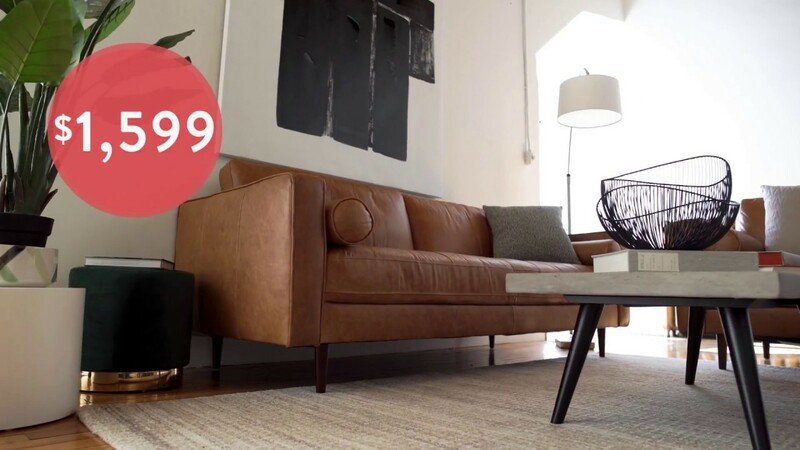 Available in a variety of finishes and easy-to-match shades, our top-quality leather furniture is designed to stand the test of time and style—and add a little bit of heart and soul to every room in your home room. The best part? It’s protected by a five-year warranty! 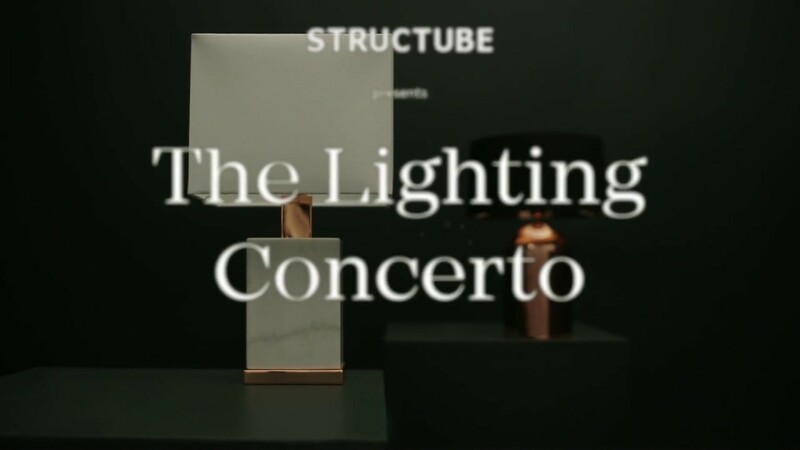 Discover Structube’s modern and affordable lighting for the bedroom, the living or the dining room. Shop LED table and floor lamps as well as ceiling pendants. Fall has arrived! And so has our new collection. 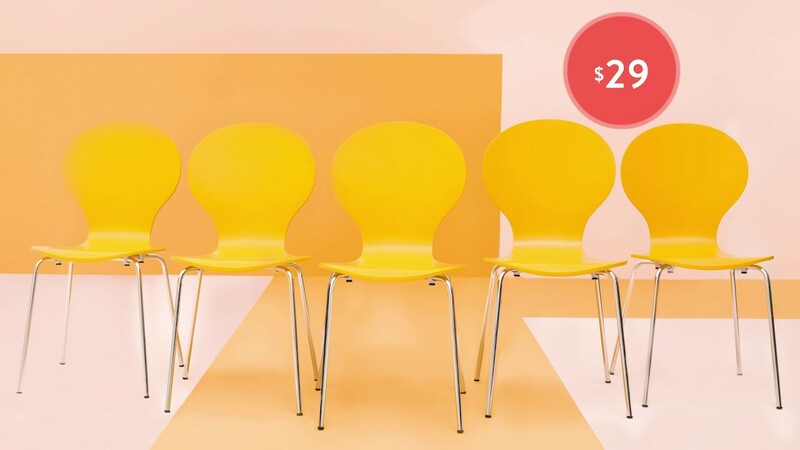 Inspired by the minimalism of mid-century modern design, Kinsey is cubic in shape, and generous in size with plenty of room for company on its extra-wide, comfortable seats. 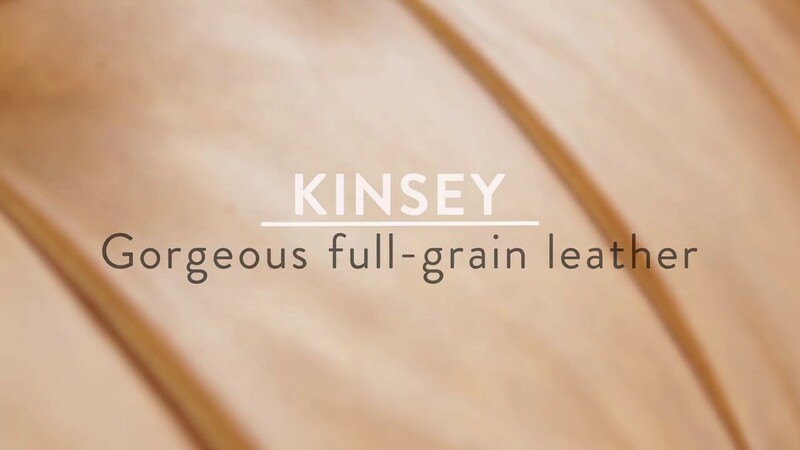 The smooth, sleek contemporary styling in gorgeous full-grain leather introduces form and function into the heart of your home, melding together with eclectic décor styles. This is a central piece that epitomizes understated elegance and sets the mood for kicking back and relaxing, or entertaining in high style. Can furniture be fun? Osaka thinks so. 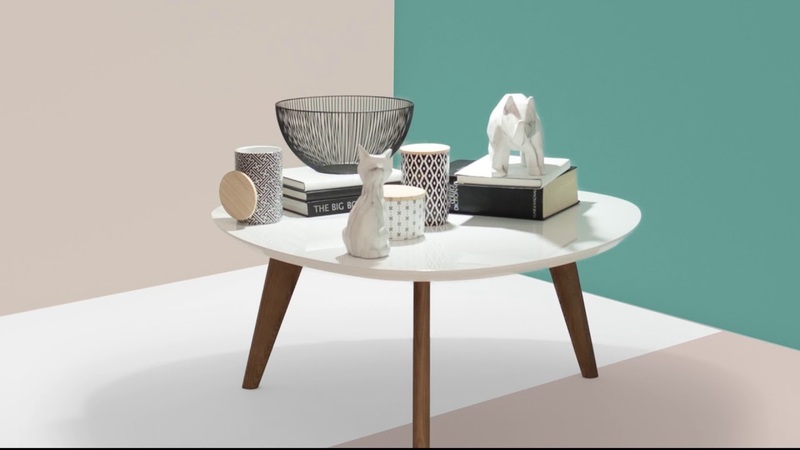 With a retro-shaped top and angular legs, this coffee table has a playful silhouette that’s influenced by the best of mid-century modern design. The timeless design of the Vera dining table showcases the perfect blend of form and function. Vera’s minimalist metal base offers a stylish contrast to its rustic solid oak wood top. The result? A contemporary dining table that’s destined to become the heart of your dining space for years to come. 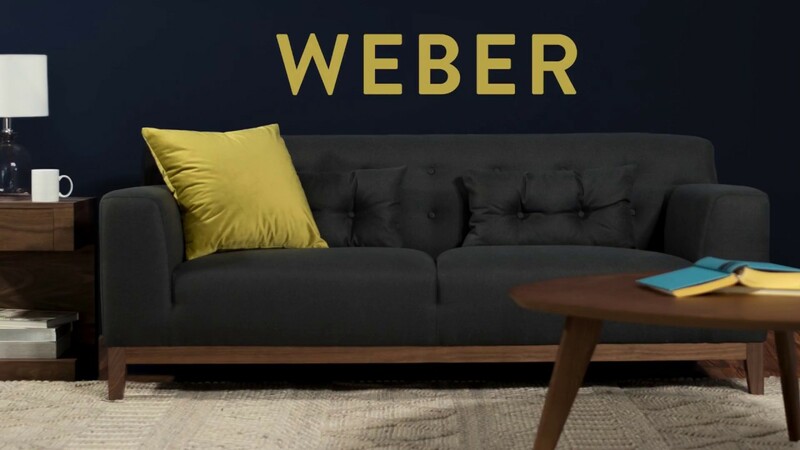 Sofas don’t get more solid than Weber. 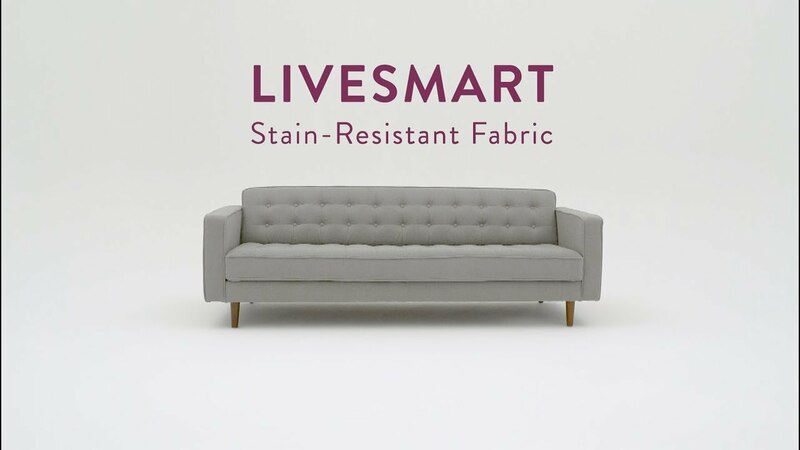 With an easy-to-clean 100% polyester cover and sturdy legs surfaced in walnut veneer, this handsome three-seater is built to withstand today’s busy lifestyle. Relaxed cushions will hug your lower back — ensuring comfort for movie marathons — while the tailored upholstery keeps Weber looking polished. 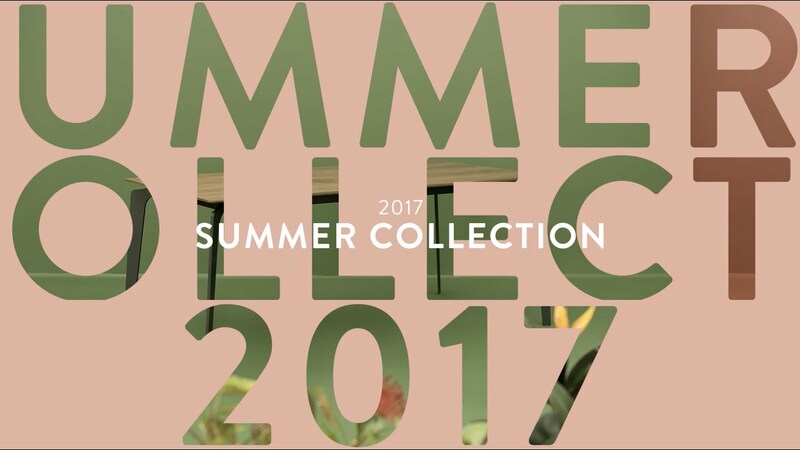 STRUCTUBE introduces its Summer 2017 Collection! Our latest Summer arrivals are all about bringing colour and fun into your homes. STRUCTUBE introduces its Spring 2017 collection! 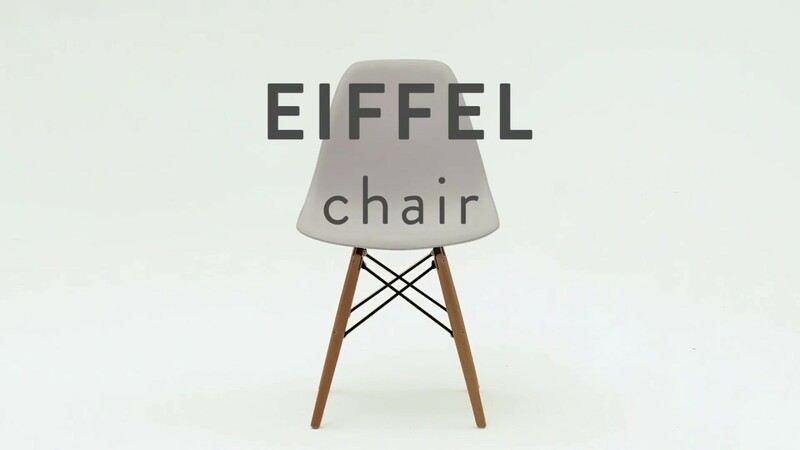 Want to see more incredible modern furniture that will fit right in with your decor? STRUCTUBE introduces its Winter 2017 collection! 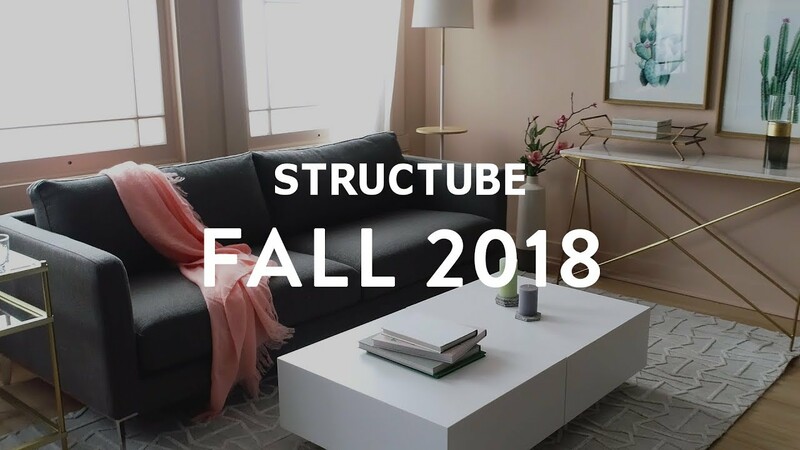 This season at Structube we’re celebrating the cozy comforts of indoor living. 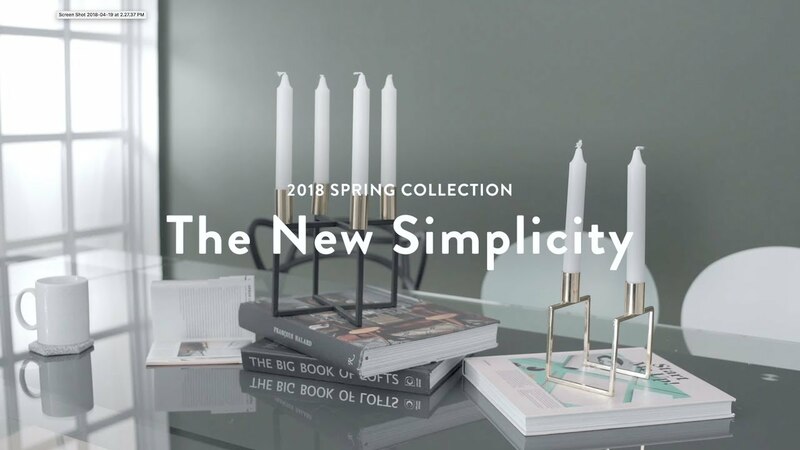 Our latest arrivals showcase the ultimate in laid-back living, with charming, easy-going pieces for your dining room, living room and everything in between. 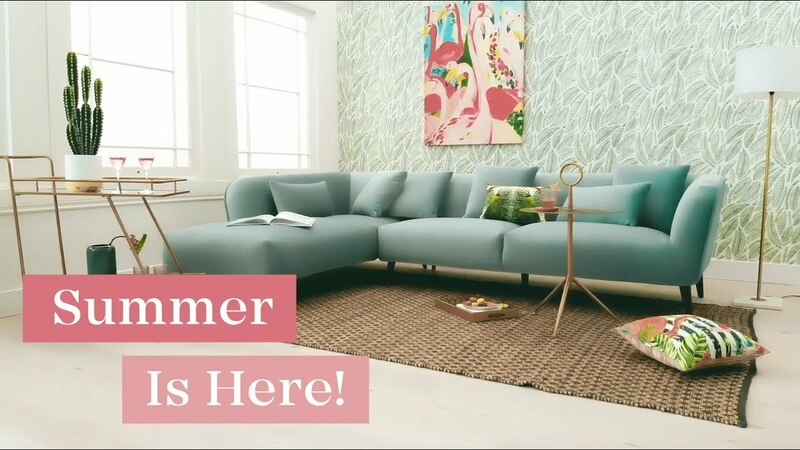 In this video, you will discover some key new Structube products including solid wood accents, plush sofas, new lighting and much more. What’s not to love? Meet Orleans, our newest recliner. With its streamlined design, sturdy wood frame, deep foam seating and one-touch recliner button, this velvety throne promises to be the most popular seat in the house. You will find, on the right side of the armchair, a convenient lit usb port to help you charge your electronic devices. The Cortez loveseat offers comfort with flexibility. Sink back into the deep foam and fibre seating or stretch out (solo or together) using the one-touch power recliner button. You will find, close to the buttons on both sides of the loveseat, a lit USB port that will allow you to charge your electronic devices while you relax. With curved lines, a strong wood frame and cushiony armrests, Cortez is a modern addition to your living room, family room or den. 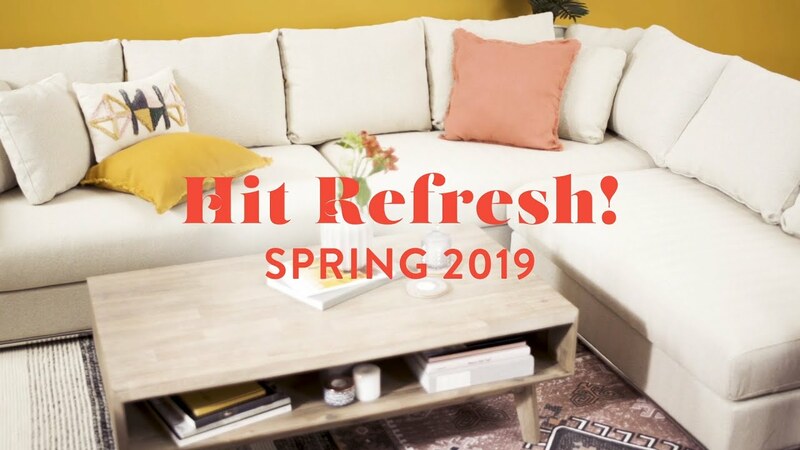 From dining room to living room, and everything in between, here is our newest collection, featuring rich colors, chic accents and beautiful furniture. The new Structube Fall collection is all about injecting the splendour and beauty of nature into your home. “Stately” — there's no other way to describe the Versailles bed. First, your eye travels to its magnificent headboard. But next, you notice the finer things, from the diamond button tufting to the antique bronze nails in a double row. Centre legs add support to the frame's slat system while tapered legs at the perimeter create a final flourish. Explore our wide selection of rugs, handmade with care using traditional techniques by master weavers in India. Looking for a little something that POPS to refresh your space? You’re in luck. Just in time for Summer, our latest arrivals are all about bringing colour and fun into your homes. Chairs, tables, desks, these are all part of our new collection. Bright colors and audacious patterns are sure to add a fresh touch to your decor. Having guests over and need a helping hand? The Eden sofa-bed is here for you! Eden will charm you with its eucalyptus and iron frame, paired with its sleek button-tufted polyester cover. With just a few easy steps, the back of this sofa-bed folds down to provide a soft yet solid bed. Its adjustable backrest offers you maximum comfort, whether you are sitting or lying down. Available in three colors, this sleeper sofa-bed embodies both style and comfort. The Horizon modular sectional sofa will help you create a modern and versatile living room! Luxe and low-slung, the three-piece modular Horizon sectional is built on a solid pine frame. But this crowd-pleaser is about more than just quality construction. 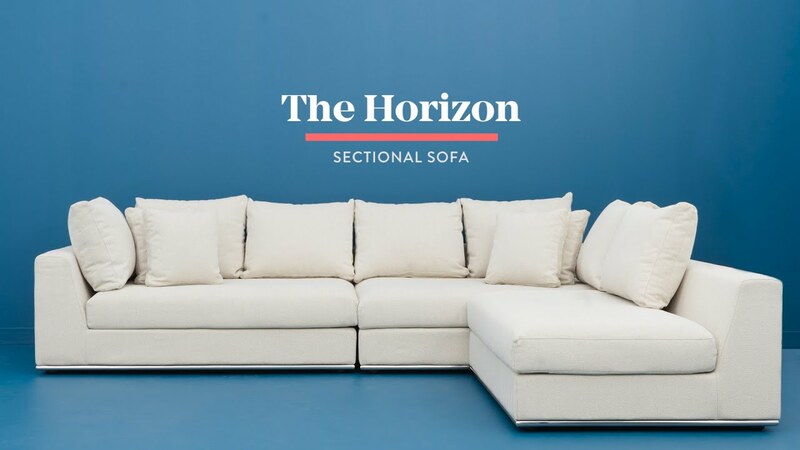 With seven back cushions and four throw cushions, Horizon offers the kind of flair and flexibility necessary for modern living. Whether watching a movie, gaming, rubik’s cubing, knitting or just plain relaxing, it will be the ultimate treat at the end of a long day. Now that’s customizable comfort! The Reno collection will help you achieve that rustic modern look! With their beautifully curved raw edges, the dining tables, coffee table and console table of this collection are one-of-a-kind masterpieces. Supported by adjustable hairpin legs made of black powder coated iron, the Reno pieces’ acacia wood surfaces feature a natural lacquer finish, showcasing all of the stunning material’s personality. Sustainably sourced from a commercial plantation in India, the Reno collection’s wood may feature knots, color variations, splits, repair patches and natural imperfections, all adding to the rustic charm of these products, recounting the story of their past lives. Due to the raw nature of the material, the size of these pieces may vary. Each of its drawers, hand finished using a different technique, showcases a distinct type of pull as well as a contrasting colour. Hand made in India, this cabinet proudly bears the names of Jodhpur, Jaipur, Mumbai and Agra on its drawer-fronts. Colors and textures are blended in this piece, thanks to a mix of solid mango wood in a raw, natural state, juxtaposed with hairpin-style black powder-coated iron legs, with convenient adjustable feet, ensuring its stability. Sustainably sourced from a commercial plantation in India, Tacoma’s wood presents knots, color variations and natural imperfections, recounting the story of its past life. Versatile, this chest of drawers is perfect as a small dresser in the bedroom or as a stylish storage unit in the living room. How to welcome the whole family to dinner? 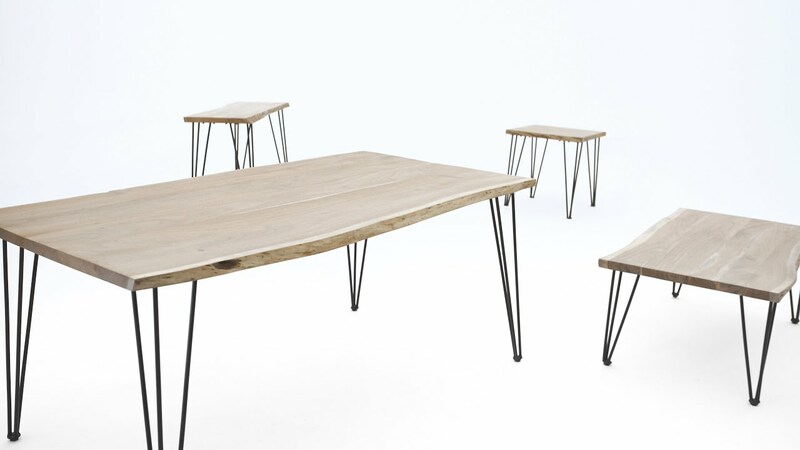 The Europa extendable dining table is here to help! 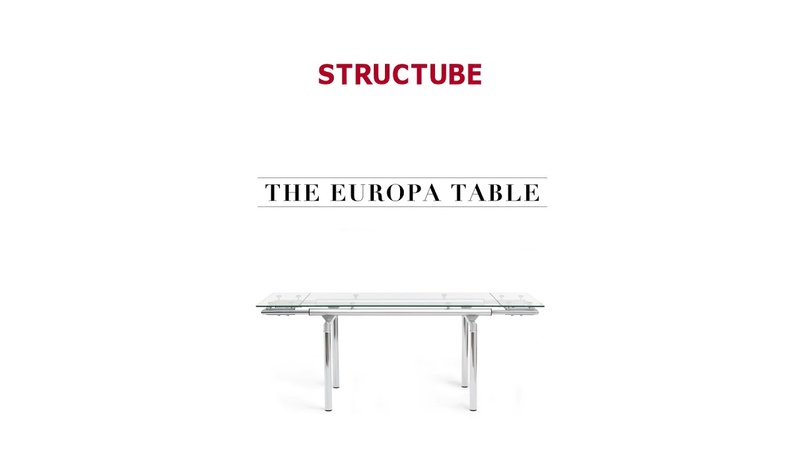 Europa serves up the ultimate modern dining experience, from its sturdy, tempered glass surface right down to its polished chrome-plated steel legs. Flexible functionality means you can host an intimate gathering or fully extend the top, thanks to 2 end extensions, to accommodate 6 to 8 guests. With Europa, the more the merrier. Its minimalist, industrial modern look makes it a perfect fit for any formal or casual dining room. Pair it with upholstered chairs to create an interesting contrast or go for edgy and contemporary architectural seats to really play up its futuristic qualities. With 2 doors, on a recessed dual-track aluminum rail system, permitting effortless sliding, opening onto 3 spacious storage areas as well as on 2 easy-slide pull-out drawers on metal railing with curved edge detailing, this sleek, modern and minimalist Scandinavian-inspired piece features a matte lacquered body with vintage-style solid elm wood legs. Wood accents on its handles add to the charm of this contemporary mid-century mod buffet. 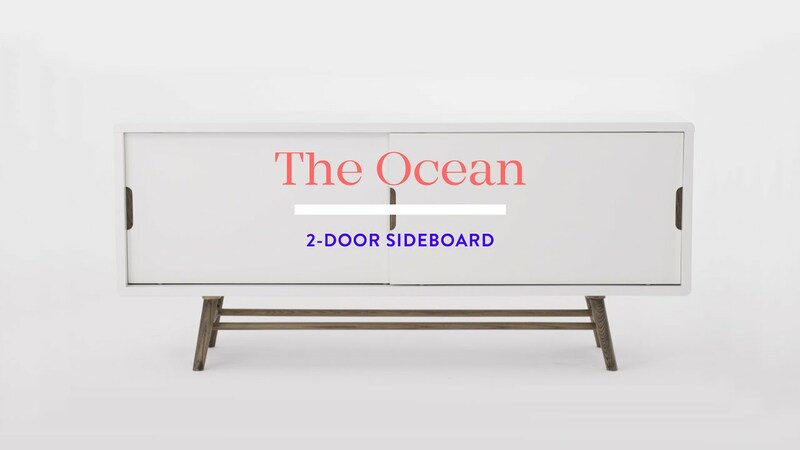 Its rounded corners, clean white hue and contrasting natural wood give the Ocean sideboard a stylish and nostalgic feel. Making clever use of storage, this credenza serves the dual-purpose of display cabinet and clutter hideaway. Taylor’s eye-catching twist is a trio of lighter-colored cushions that create the impression of a wide horizontal stripe. But that’s not the only thing that sets this sectional apart. Angled arms and legs pair with durable 100% polyester fabric for a piece that’s lovely and long lasting. Solid beech wood legs covered in walnut veneer are the perfect final touch to this must-have modern piece of furniture. Available with chaise lounge on the left or on the right, this spacious space maximizing sectional is perfect for condos and apartments as well as as for houses. Comfortable, it will be the perfect addition to your next movie night. Bring on the popcorn! Glossy and just a little bit glam, the lacquered Kate Media unit gives storage a good name. A mix of open and closed cabinetry allows you to display favourite items or tuck them away as you please. 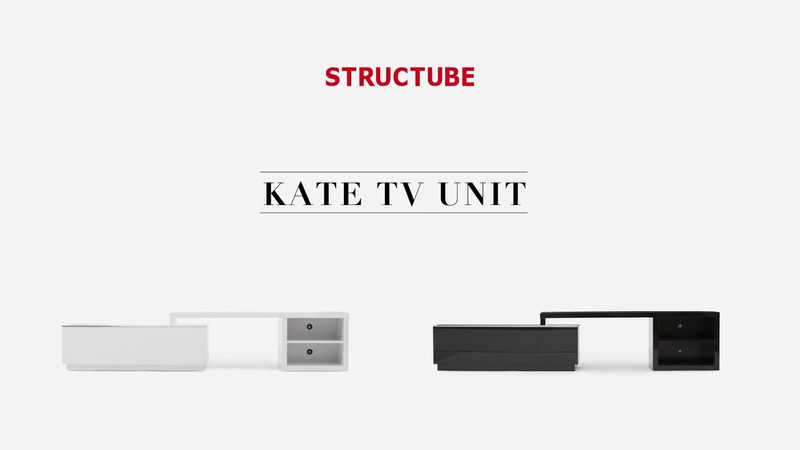 Slide the units together for a more compact look or stretch them out to fill the wall space —Kate is completely customizable. 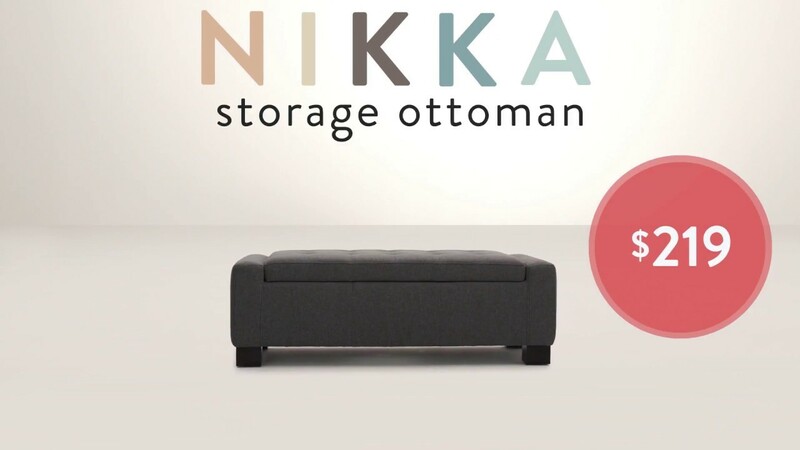 It’s a chair, it’s an ottoman, it’s a… pouf! Introducing Webb, a multi-functional piece that defies (and exceeds) expectations, whether you use it as a footrest, coffee table or occasional chair. Available in two sizes and a selection of eye-catching colours, Webb makes a tactile and tailored addition to living spaces of any style. Past meets present with the Miami sectional. Square tufted seats invite long days of lounging while plush back cushions offer support. Better still, Miami's eco-friendly construction is just as strong as it is sustainable. The Picasso table is innovative and slightly avant-garde — a natural addition to any contemporary room. Two surfaces swivel into intriguing configurations either simple or complex. Picasso's dynamic, low-slung design is set off by a high-gloss lacquer finish that takes it from coffee table to conversation piece. 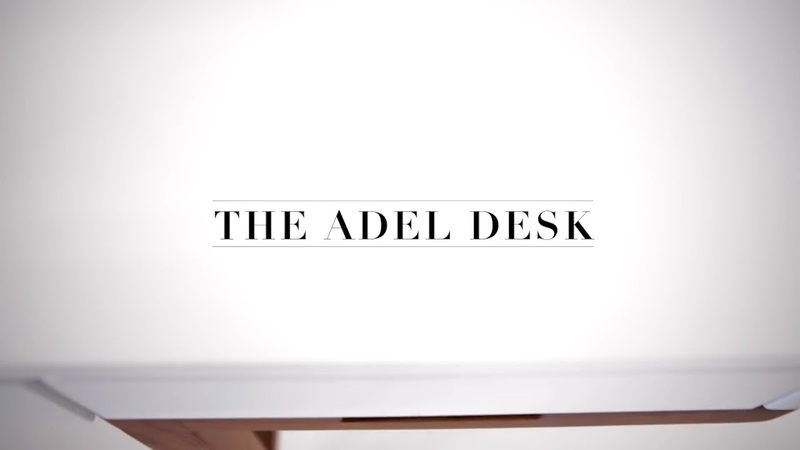 Adel is exactly what every work surface should be: simple, sleek and stimulating. Pull up a chair to the solid ash frame and get down to business or let your imagination run free. Cooper is made for maximum comfort. 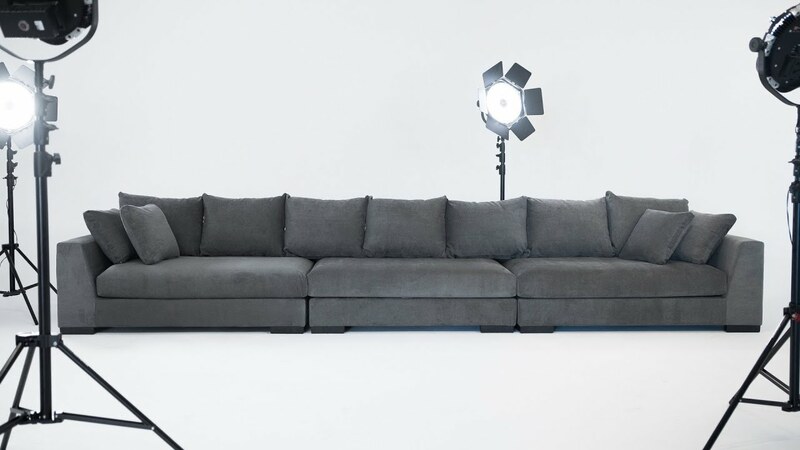 With modular units that can move with your mood, this sectional sofa is as spacious as it is sleek. Generous seating allows big groups of friends and family to gather close or small groups to spread out with ease. With three rich colours to choose from, there's a perfect option for any palette. Everybody has a favorite spot. It doesn’t matter who we are or what we do, certain places simply speak to the essence of our souls, representing us better than we could start describing ourselves with words. From favorite seat at the family table, to prized side of the bed, comfiest spot on the couch or best stool at the coolest neighbourhood café (you know the one; you heart flutters just thinking someone else might be using it! ), they bring back memories, give you the courage to accomplish anything and make you feel safe from any worry the outside world might have in store for you. For us, furniture is never just furniture. We ensure every piece has enough personality to be the starting point of the design of that next great spot. 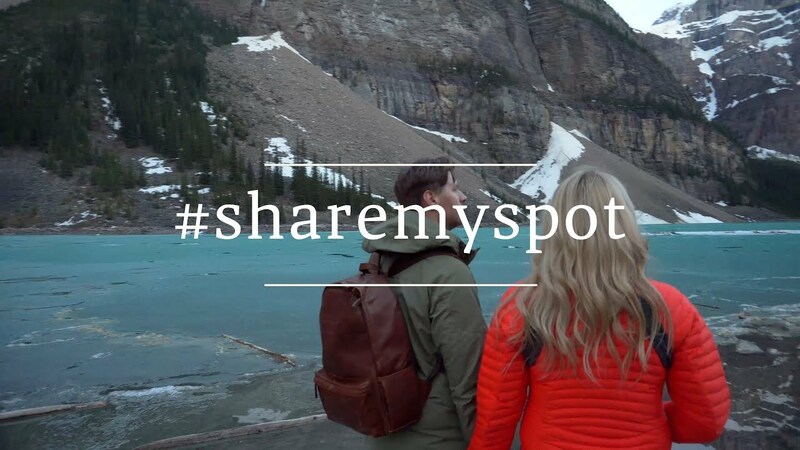 We asked 5 inspiring Canadians to share their favorite spot with us as part of our new campaign, #ShareMySpot. Make sure to come back next week to meet our inspiring ambassadors. 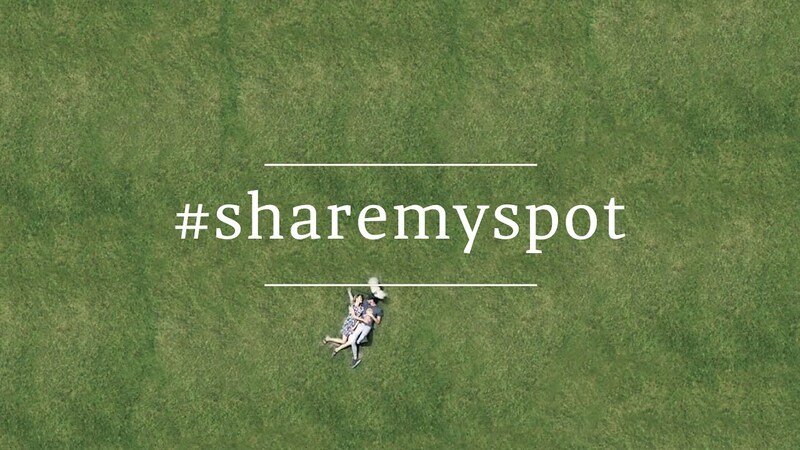 Get ready to meet some inspiring people in our #sharemyspot series. Throwing open the doors to their homes, our charming guides welcome you into their everyday lives for a fascinating journey of discovery through unique interiors. Follow them! Gabriel Cabrera is the man behind the highly successful food blog Artful Desperado. Structube, the leading Canadian retailer of modern furniture, visited his favourite spots in Vancouver, British Columbia. We start at his preferred place to relax, his kitchen. A food stylist and photographer, Gabriel calls the kitchen the heart of his apartment, saying that, even though the chairs and the couch are in the living room, the kitchen always ends up being the party room. A lover of rustic, dark and moody spaces, Gabriel comes up with all the recipes, as well as does all the cooking featured on his website, from that beloved kitchen. A total foodie, the Artful Desperado brings us to his favourite restaurant, Torafuku, located in the Chinatown neighbourhood, in downtown Vancouver. The Asian eatery, combining modernity and simplicity, keeps Gabriel coming back thanks to its glazed, spicy and crunchy chicken wings, which he calls his guilty pleasure. Amanda Robinson is the eco-chic blogger behind Natural Mommie. Structube, leading Canadian modern furniture retailer, visited her favourite spots in Edmonton, Alberta. An entrepreneur and busy mother of two, Amanda works on her business from home. She designed her office space for herself, incorporating girly touches like hints of pink, white walls and beautiful fresh flowers, making sure she always finds the inspiration she needs. She takes us to the Chickakoo Lake, a gorgeous park with amazing scenery, where she comes to relax. Amanda uses blogging to connect to people through lifestyle, clean living, DIY and home décor. Lifestyle photographer Gillian Stevens loves living in the Kitsilano neighbourhood. Modern furniture retailer Structube visited her favourite spots in Vancouver, British Columbia. This sunny day brings us to sit in Jericho Beach Park for a relaxing moment, to stroll the farmer’s market for fresh produce and to visit the local flower shop Gillian adores. Gillian welcomes us into her apartment as we discover the living and dining room hybrid where she loves to work, entertain and have friends over. Full of character, her home gets amazing natural light, perfect for styling items and taking photos on her table. Her décor is inspired by Britain, its brick buildings, cobblestone streets and quaint countryside. Virginie Goudreault is the blogger behind Blond Story http://blondstory.com/. Modern furniture retailer Structube visited her favourite spots in Quebec, Canada. The condo she shares with her boyfriend, on the south shore of Montreal, mixes modern and rustic for a chic minimalist look that still feels warm. Her office, where she creates the content for her blog, features plants, light hues and girly touches for a colorful décor that fits her personality. Giving her readers all of the tools necessary for a balanced lifestyle, Virginie brings us to her favourite health bar in Montreal, Goji, which offers a great vibe and pays attention to little details. We meet nutritionist, chef and health coach Marikym, who serves her an all natural version of the traditional brownie. Chloé Crane-Leroux is a professional fashion photographer, currently studying at the prestigious Parsons School of Design in New York. Structube, the leading Canadian retailer of modern furniture, visited her favourite spots in Montreal, Quebec. Her favourite place, the comfortable couch in her family home’s living room, is first. Often producing food photography, Chloé takes us to Café Parvis, a cool, trendy café in Montreal with a 60s-inspired interior. A lover of modern and Scandinavian décor, Chloé loves white. From her dear dog to every detail of her home, white is without a doubt this photographer’s hue of choice. Want to see more comfortable, homey and pretty spaces as well as discover the inspiring people who call them their favourite spots? Join us and discover the amazing people and places behind our products. Prepare to be humbled by the kindness, openness and skill of the tradespeople you meet along the way. We are proud to announce that on November 4th, Structube was awarded the RGD In-House design awards for the ‘BEYOND THE PRODUCT’ campaign. This award has been created to acknowledge the work done by ever-growing creative teams that work as internal agencies. Explore the fine art of rug making in New Delhi. See how our beautiful rugs are handmade with care using traditional techniques by master weavers. Go deep into the streets of Jodhpur as we explore some of the city’s finest sweet shops. Enter a world of handcrafted artistry as we learn how some of our most beautiful and unique products are brought to life. Discover the ancient King's palace and its breathtaking view overlooking the blue city. Learn about the journey of timber from beginning to end. See how trees from India are turned into our one-of-a-kind handmade pieces by master artisans. Follow us in a world of colour and camaraderie when we visit a contemporary art studio in China creating stunning oil paintings. Let us transport you to China and see how 108 procedures transform MDF panels into polished, lacquered pieces. Fall in love with Hangzhou, China as we present you with its breathtaking views and delicious eats. Travel with us to Guangzhou, China and see how our Polo armchair and our majestic Versailles bed come to life as tufting and nail head trims are meticulously applied before your eyes. Join us as we take a look back at our amazing Beyond the Product journey.